Food allergies are a serious concern for millions of Americans today, and the effects they have can be wide-ranging. For some, it’s a simple outbreak of hives or a skin rash; for others it can result in more serious symptoms like difficulty breathing, issues with the digestive tract, or even death in many extreme cases. A lot of confusion exists in the restaurant world between “cross-contamination” and “cross-contact,” and while they’re both important to avoid, it’s equally important to understand the difference as they need to be handled in different ways. Cross-contamination refers moreso to the prevention of foodborne illness, whereas cross-contact is the act of preventing potential allergens from coming in contact with dishes by accident. The typical methods of preventing cross-contamination, such as proper cooking or disposal, will not actually prevent cross-contact and additional care will need to be taken to prevent contact. One of the most effective ways to prevent cross-contact with food allergens is to keep your staff educated and aware of the risks and methods of prevention. 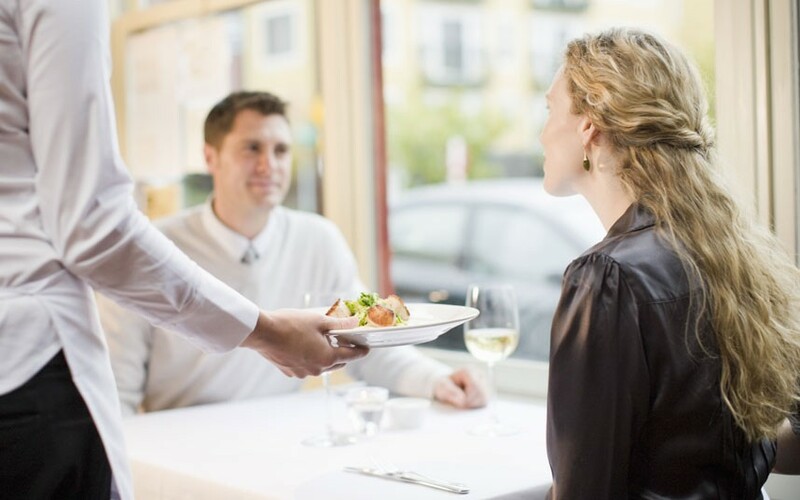 Make sure your employees know the risks of food allergies, and work to ensure their general duties include methods to prevent these allergies from affecting your guests. A good example would be the grill – it may be used to cook dishes involving typical allergens like egg, dairy, or peanuts, and proper cleaning between each meal (especially after any dish involving common allergens) is absolutely critical. Use proper training and constant updates/meetings to make sure these safety practices become second nature, and if you feel like the practices may be slipping over time, create a set of questions for your chef or restaurant manager to keep everyone on-target. Correctly storing and separating food products is an easy and ideal way to prevent cross-contact, but additional steps need to be taken to ensure safety. Make sure to use only storage solutions approved by the NSF for sterility and contamination prevention, such as wire shelving or NSF restaurant shelving to store all of your food products. Using sterile shelving will allow you to further prevent the spread of allergens, and will help prevent disease as well. Depending on the scope of your menu, cooking dishes containing common allergens like seafood or peanuts may be unavoidable. And while your staff may be taking steps to prevent these in the back of the house, your guests will also need to be adequately warned. If you cook with anything that could be considered an allergen, make sure to indicate it where appropriate in your menu as well as posting warnings near where guests enter your restaurant to make sure they are adequately prepared and warned of what they may have to order. Many federal and state regulations require these warnings to be posted as well, but the safety of your guests should be considered paramount in the foodservice industry. Mentioning the safe storage for preventing allergies was a smart and useful move for motivated use of high-quality wire shelving units at restaurants.